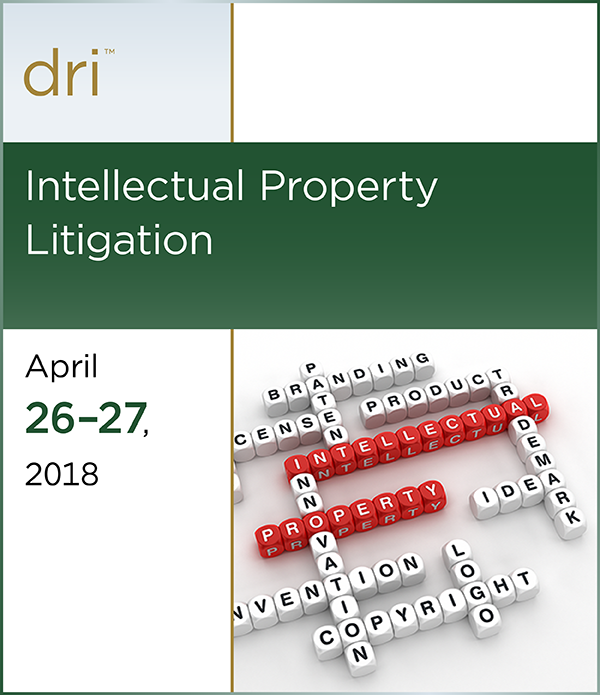 We will explore the practical effect of these cases on your litigation practice with the most diverse group of presenters that the DRI IP Litigation Seminar has ever hosted. Learn the best practices for opinions of counsel post-Halo, local counsel perspectives post-TC Heartland, and how courts have shaped inequitable conduct law post-Therasense. Enjoy a judges’ panel where you can hear jurists’ thoughts on successfully litigating an IP case. Hear from Simon Tam, who changed the law regarding offensive trademarks. As with previous years, this seminar also offers the bonus “two for the price of one” as the DRI Commercial Litigation Committee will be hosting its seminar at the same time in adjacent rooms. Attendees are free to go back and forth between the seminars as they wish. Breaks and social events will be held jointly, presenting even greater networking opportunities.